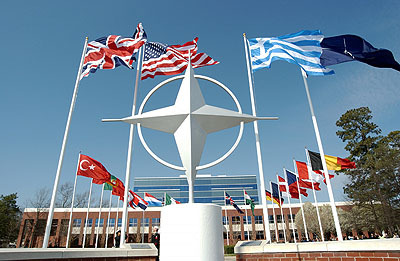 Has NATO Outlived Its Usefulness? Defense Secretary Robert M. Gates bluntly criticized NATO nations on Friday for what he said were shortages in military spending and political will, warning of “a dim if not dismal future” unless more member nations scaled up their participation in the alliance’s activities. ….“The blunt reality is that there will be dwindling appetite and patience in the U.S. Congress — and in the American body politic writ large — to expend increasingly precious funds on behalf of nations that are apparently unwilling to devote the necessary resources or make the necessary changes to be serious and capable partners in their own defense,” Mr. Gates said. ….The defense secretary was even harsher in his critique of NATO’s command of the Libya operation….“The mightiest military alliance in history is only 11 weeks into an operation against a poorly armed regime in a sparsely populated country — yet many allies are beginning to run short of munitions, requiring the U.S., once more, to make up the difference,” Mr. Gates said. Actually, I’m glad to see Gates saying this, and I’m sure his words were vetted with the White House. What’s more, Gates is a convenient messenger, since he’s leaving office soon and won’t have to put up with the personal fallout from this. Leon Panetta can smooth things over when he takes over the Pentagon. I should make it clear that I don’t have a problem with the fact that lots of NATO members aren’t participating in the Libya operation. This is hardly the kind of thing that poses an existential threat and demands unanimous action. But Gates is right to be incredulous: even a tiny operation like this is stretching the capabilities of the alliance members who are participating? Including the two with probably the biggest military forces? That’s pretty ridiculous. But it’s also a vivid demonstration of the difference between the U.S. military and everyone else. We spend a ton of money on defense because we want to be able to project power around the world. That requires a quantum jump in capability compared to a military designed for pure defense, as most European militaries are. For the most part, they can defend themselves and engage in cross-border operations, but that’s about it. Even a country as close by as Libya is beyond their capability. Which is fine. The ability to project power is also something of a drug, prompting the United States to involve itself overseas more often than it should. Maybe Europe is smart to resist the temptation. Still, if NATO can’t project power, and if it’s no longer under threat of communist hordes marching through the Fulda Pass, maybe it’s time to downgrade itself. NATO serves a useful planning and coordination function, and it’s certainly useful for alliance members to agree on common communications and weapons standards. You never know when that will come in handy. But it might be past time to admit that this is pretty much what it is these days. As an actual day-to-day fighting alliance, it’s outlived its usefulness.